We can help you find the perfect home in Troon. There is a wide variety of homes for sale in all sizes with golf, mountain or desert views. With such a wide variety of homes, there is something to suit everyone. Troon is an extremely popular community. It is one of the most desirable locations in all of Scottsdale for a winter home or vacation home. It has a national reputation as a resort destination with top-tier golf courses, upscale restaurants and is even close to the best shopping centers in Scottsdale. The landscape of the area is beautiful and dramatic with vibrant green courses, set against boulders and cactus. The magnificent Pinnacle Peak is in the center of it all. Troon North offers a luxurious resort lifestyle with affordable prices. There is a wide assortment of both gated and non-gated communities to suit your tastes. Many homes for sale have perfect views of the golf course or are close to the clubhouse. Imagine living just a few steps from your favorite course or clubhouse. Condos in this area are also popular with out of state owners as easy lock and leave properties. They are perfect for anyone looking for a low maintenance property. 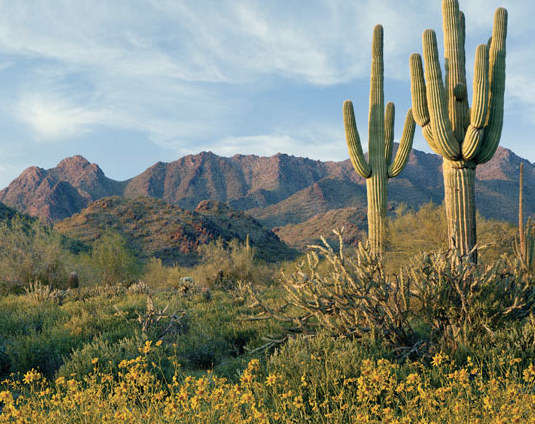 Troon North is one of the most serene settings in all of Arizona, with breathtaking views of the mountains, boulders and blossoming Saguaro cactus. Whether you are looking for a primary residence or a soothing place to retire, it should be on the top of your list. Troon has developed an impressive reputation for its numerous high quality golf courses. There are five 18-hole courses in the area. The immaculate green grass set against the massive boulders is the dramatic, signature look of the area. Troon is one of the best locations for a Scottsdale home. There are many properties with exceptional golf and mountain views. Golf homes range anywhere from the $500,000's up to $5 million. Many of the homes are custom built on large lots, within private guard gated communities. These homes often come with premium features such as negative-edge swimming pools, spas, guest casitas and 3 car garages. Many of the homes for sale include a membership to one of the private clubs in the area. The three private golf clubs include Estancia, Desert Highlands and Troon Country Club. All three of these are exceptional clubs. They give their members the camaraderie and experience you expect from a premiere private club. If you prefer the flexibility of daily-fee public courses, there are two public golf courses available at Troon North - the Monument and the Pinnacle. In addition, there are several other public courses within 10 minutes including Grayhawk, Legend Trail and Tournament Players Club (TPC). Scottsdale has over 50 golf courses to enjoy. You can play a different one every day. Golf is not, however, the only thing that draws people to the area. Many of the communities offer tennis, fitness centers, private pools and more. There is also a wide variety of dining options, from casual outdoor patios to sophisticated fine dining restaurants. Outdoor fun includes hiking, biking and equestrian trails. Pinnacle Peak Park is one of the most popular hikes in all of Scottsdale. Pinnacle Peak has an easy trail which is perfect for the casual hiker. The views from Pinnacle Peak are unbeatable. There are also numerous trails for walking and biking including Brown's Ranch Trailhead, George 'Doc' Cavalliere Park and the Gateway Trailhead at the McDowell Sonoran Preserve. Upscale shopping is just minutes away at Kierland Commons and Scottsdale Quarter. Give yourself the lifestyle that you deserve. Search homes for sale today or call us for personalized help. You are merely a few clicks away from finding the house you have been dreaming of. Carmen Brodeur is one of the top Realtors in Scottsdale AZ. With a background as a real estate Attorney, she is uniquely qualified to assist both buyers and sellers. She has a level of expertise in contracts and negotiations, unlike any other Scottsdale real estate agent. Carmen is a long term North Scottsdale resident and can also explain the differences between the communities to help you decide which home is right for you. Carmen welcomes your calls and emails. Contact Carmen Brodeur at (602) 791-0536 or Carmen@TopScottsdaleHomes.com to schedule a showing of any homes for sale in Scottsdale.